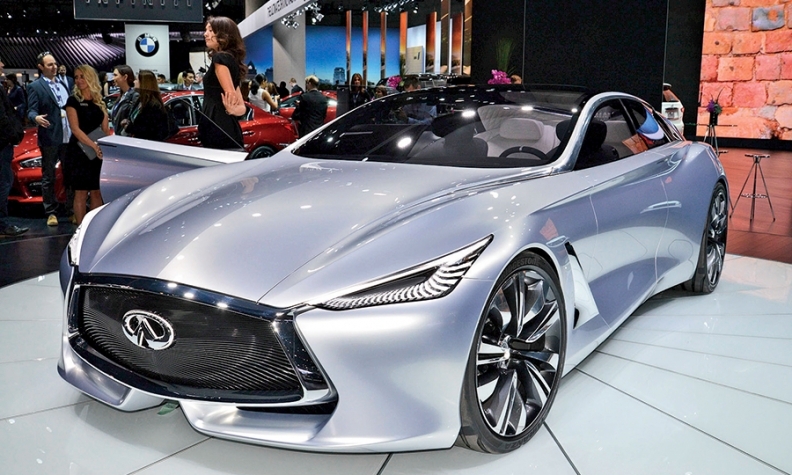 The car is likely to be the production version of the Q80 Inspiration concept revealed last autumn at the Paris auto show, which Infiniti said would be launched in three to five years as a rival to the Mercedes-Benz S class. Initial development work is taking place at Nissan's Cranfield r&d site in central England. The car is being benchmarked against the Mercedes S500 plug-in hybrid and the Porsche Panamera E-Hybrid, also a plug-in, the source said. The Q80 Inspiration was revealed with a hybrid system combined with a new Infiniti-designed twin-turbocharged 3.0-liter gasoline engine making a claimed 550 hp. At the time, executives refused to say whether the system was a plug-in. Francois Goupil De Bouille, head of Infiniti in Europe, said at the time that plug-in hybrids widen the options for consumers. "If you use the car to commute, then an EV is a good solution," he told Automotive News. "If you are traveling a lot from town to town, maybe a plug-in hybrid is better."